Engage:BDR (ASX:EN1) has deployed Facebook advertising as part of its paid social strategy. Ads on Facebook utilise users’ unique profiles as targeting metrics allows brands to reach their most appropriate potential customers. Initially, as announced by the company on 11 February this year, the targeted launch date of this product was not until Q3 2019. Due to high customer demand, the first phase of this offering is now live, significantly ahead of schedule. Product and revenue related objectives this year to date have seen significant achievements. Currently EN1 is comprised of only 15 full time staff, who each has a personal goal of generating at least US$1M in revenue for 2019. EN1’s history with Facebook dates all the way back to 2010. Initially the company was a certified ad provider for the social network’s app developers (such as Canvas Apps). Subsequently, EN1 became a top inventory provider on Facebook’s video ad exchange, LiveRail. Until now, EN1 has not sold Facebook’s core advertising product. Unsurprisingly, Facebook is one of the world’s leading social media platforms, with over 2.3 billion unique monthly users. This large pool allows advertisers to reach their most appropriate audience, no matter the niche. There are five main advertising mediums: newsfeed on desktop, newsfeed on mobile, sidebar on desktop, network on mobile and Instagram. These ads can target users based on location, age, gender, interests, connections, relationship status and so on. Ads allow advertisers to improve and enhance brand awareness, traffic to site, store visits and conversions (as well as app installs and engagement). Lead generation and retargeting are two common ad methodologies that allow these ads to reach a maximum number of people at a low cost. EN1’s new offering will allow clients to target extremely niche audiences, otherwise nearly impossible to reach. Facebook’s advertising technology helps new and emerging brands to drive awareness, while simultaneously driving traffic to the brand’s site and storefront. 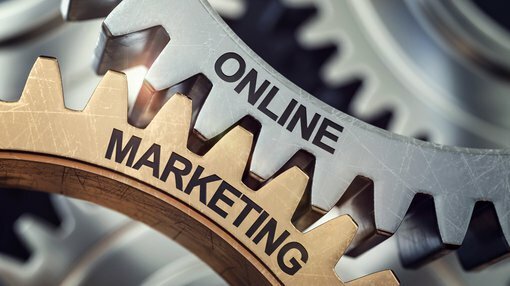 EN1’s technique of consistent optimisations and refreshing ad set creatives allows it to generate exceptional ROAS (return on ad sets) and scalability for the client. The company is upbeat about this method’s approach and will begin cross-selling the offering immediately. With Facebook’s popularity highly unlikely to decline in the near future, it’s a highly viable channel to engage with. In addition, EN1 also offers paid social plans on SnapChat, Instagram, YouTube, TikTok, Linkedin and more. Over the course of 2019, the company expects to deploy several other paid social platforms, including tech to manage and integrate with the existing media channels EN1 owns. Its IconicReach platform has direct and immediate synergy with the new paid social strategy. IconicReach clients have requested to add paid social to their campaigns as soon as possible. EN1 will update the market on future phases of the strategy as well as an overall perspective when applicable. Top 100 US marketers focus their budgets on three main areas: programmatic advertising, influencer marketing and paid social. 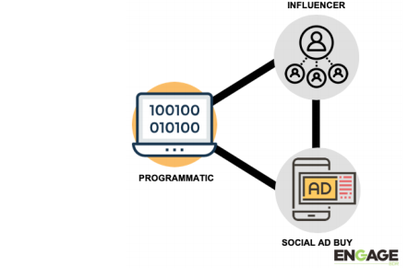 EN1 is a strong leader in two of these areas (programmatic and influencer marketing), and now, with this latest announcement, has strong foundations in each pillar. EN1 explored the acquisition of a paid social firm in late 2018, but due to concerns around dilution it opted against the plan. Management has since decided to postpone this opportunity until its market cap and share price support such activities. More recently the company has looked into the acquisition of a thriving Australian based paid social business. Such an arrangement would see EN1 gain tangible exposure with local clients and a team familiar with the local landscape and trends. EN1 will update the market if and when the above becomes a reality.